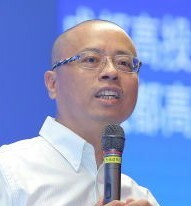 Board Chairman at CDHTI venture capital co., LTD.
Huang Guangyao graduated from Southwestern University of Finance and Economics with a double bachelor degree of Economics and Law. He is a certified public accountant, senior accountant and qualified judicial authenticator. He is also a visiting professor, a member of the China Venture Capital Association and the Innovation and Entrepreneurship Committee of the Ministry of Science and Technology. He is also a Secretary-General at Venture Capital and Private Equity Association of Chengdu. He has served successively as the Director of the Financial Department of Chengdu High-tech Developing Zone and the Deputy Director of the Financial Office of the Chengdu High-tech Developing Zone. He was the Board Chairman and General Manager of the High Investment and Financing Guarantee Co., Ltd. Currently he is the Deputy General Manager of the Chengdu Hi-tech Investment Group Co., Ltd , Chairman of the CDHTI Venture Capital Co., Ltd and Chairman of the CDHTI Winpower Investment & Development Co., Ltd.